Featuring numerous original works created by Florence Cathedral, the museum opened in year 1891 and now houses one of the most important collections of the world’s sculpture. The artworks featured in the museum depict the extensive development of Florentine arts from 14th century through 16th century. 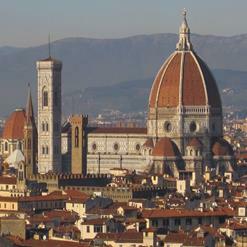 Apart from Florentine art pieces, numerous Roman remains as well, are showcased by the museum. Moreover, a separate room in the museum is dedicated to 58 illuminated Choir books which were used till 1930 in the cathedral.